George C. McKinnis has represented the founders of technology enterprises from startup to multiple rounds of financing and growth through mergers, acquisitions and IPOs. He has represented US and overseas technology companies in commercial, corporate, contract and intellectual property matters. His scope of representation extended from established public companies to tomorrow's entrepreneurial startups. He has been a director of multiple technology companies and has acted as a co-founder of high technology startups. He received an undergraduate degree from Oklahoma University and a law degree from the University of Michigan. He was trained in a quality New York City law firm, was General Counsel of an overseas merchant bank dealing with international financings and spent 14 years in ITT Corporation headquarters as Senior Counsel for international telecommunications and as General Counsel of ITT’s R&D laboratories. George McKinnis established the McKinnis Law Offices in 1987, after a fourteen-year career in ITT Corporation’s Legal Department. When he completed his portion of the divestment by ITT Corporation of all of its many telecommunications and electronics companies, he established his private practice with ITT and Alcatel, the acquiring party, as his first clients. In August of 2016, he retired from the commercial practice of law. Mr. McKinnis was admitted to practice law in Oklahoma, Missouri, New York and Connecticut and post retirement retains his membership in the New York Bar as a retired lawyer. Under New York law, he has the right to practice law after retirement on a pro bono basis. He retired from the Bronxville Justice Court in April of 2018, after 24 years on the Bench. He is rated ‘AV’ by the Martindale Hubbell Law Directory, which is the highest rating given for professional skills and ethics. George C. McKinnis gave the attached lecture to the IEEE’s New Haven Chapter. 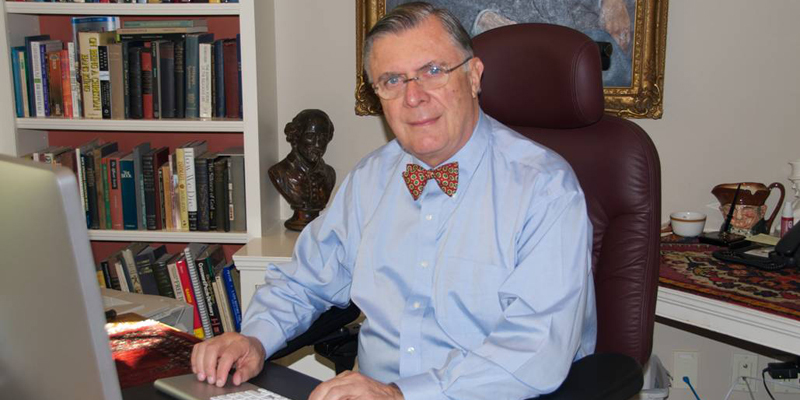 George C. McKinnis gave the attached lecture on the SW industry to the Connecticut Bar’s Computer and Patent Law Section. George C. McKinnis gave the attached Commencement Address at a Concordia College graduation ceremony. George C. McKinnis gave the attached tutorial on the trial of Socrates to an Honors Seminar on Great Trials. The attached is a tutorial for the use by the general public on the basics of intellectual property. The attached is a tutorial on the basics of shareholders agreement for use by the general public. This website may be considered an attorney advertisement. Copyright © 2019 George C. McKinnis. All rights reserved.